Caption This! Gelebron's Tower Competition! As the doors of Geleborn's Tower finally are laid open to Heroes, the enemies inside are curious about these new events. What though are these fearsome beasts thinking on? What evil deeds do they have in mind for the adventuring heroes who dare to enter their tower? Or are they simply discussing the weather? We challenge you, Heroes!! 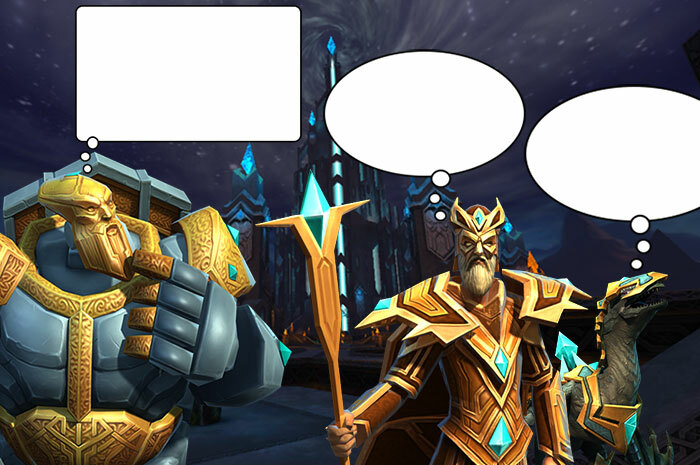 To celebrate the opening of Gelebron's Tower, we'd like you to caption the below image, relating their conversation to the world of Celtic Heroes! The funniest/most creative shall be rewarded. We'll also be rewarding Honourable Mentions and a Studio Pick with other prizes subject to One Thumb Mobiles discretion. Honourable mentions go to Optical Awakens and Bitey and Soolegit (of Lir entry sent via email - View entry here ) - a Spring Chest will be on its way to you Heroes! Congratulations to all our winners! Re: Caption This! Gelebron's Tower Competition! Last edited by Oberyn on Fri Mar 20, 2015 2:39 am, edited 6 times in total. Join "The Walking Dead Discussion! "|[Game]Picture Count 1,2,3...!|[Game]PotatoFlix!
" I forgive you Mountain :3 "
Here we go. The big rock guy has a thinking expression so hes thinking of a number. 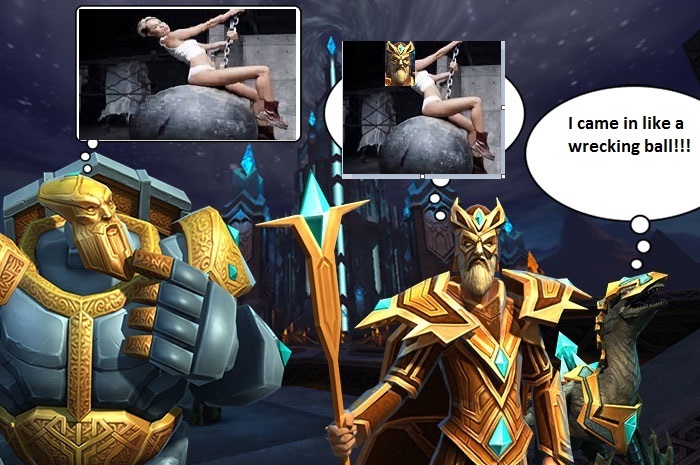 Wizard guy looks annoyed so i made him annoyed at the big rock guy. The dragon looks like an idiot so i had him play the game. Heres the list. Rock guy goes first, then the wizard talks 2nd, dragon is last. Big machine guy: I wonder what those other two are thinking about, probably nothing. Couldn't post pic so I did this. So the dragon is an annoying thing and they want to know if they can kill the highlanders I hope you like my competition enter. Last edited by Rapidly Quick on Wed Mar 18, 2015 5:16 pm, edited 1 time in total.